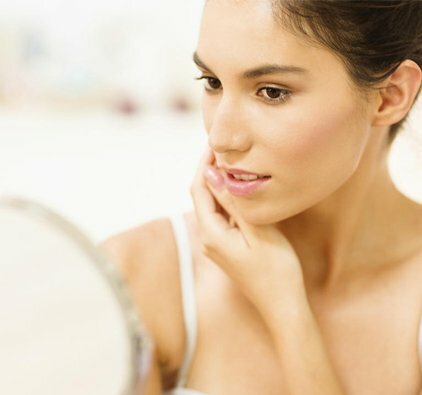 Do you have skin imperfections like skin tags and small spider veins that you wish would just disappear? With the new technology from Silhouette Tone we can! At Laserlicious we use a treatment called Electrocoagulation that make skin imperfections disappear. Electrocoagulation is the safe, non-invasive way to eliminate embarrassing Skin Tags, Tangiectasia, Ruby Points and Spider Angioma. Electrocoagulation is a method of introducing electrical current and transforming fluids into solid matter. During treatment a fine needle touches the skin surface, following the dilated capillary. Many vascular blemishes disappear on contact. Most conditions are successfully treated in 1 to 3 sessions with minimal skin reaction. The results are as amazing as they are nearly immediate. WHAT CAN BE TREATED WITH ELECTROCOAGULATION? Yes. Many clients see a small point of discolouration where the treatment was which fades within three weeks. No. Many clients feel slight discomfort during the treatment, it feels like small pinches on the skin. This varies depending on what is being treated, it’s always best to come in for a free consultation to best assess the area being treated. Remember – consultations are complimentary. Call now!